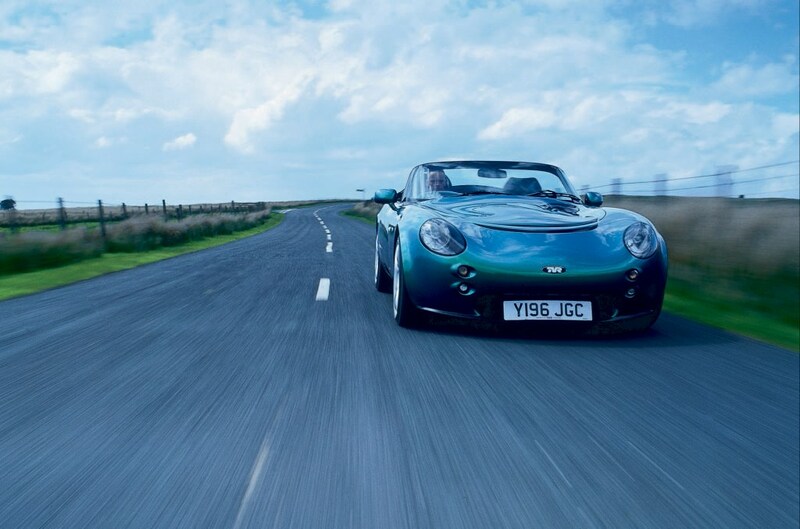 Accessing this power means first navigating your way around a TVR interior, which is predictably eccentric. 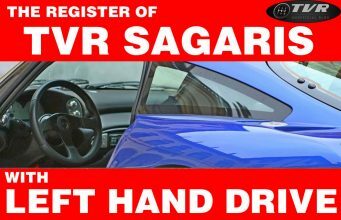 To open a door, for example, you press a button hidden under the wing mirror. Now suitably en-sconced, the first thing to note is the abundance of space. 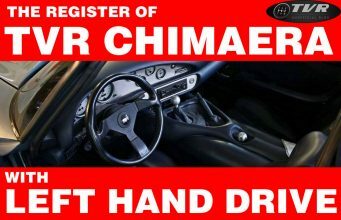 The wheel moves to and fro and fore and aft, and the pedal positions can be adjusted with a spanner, so finding a good driving position isn’t a problem. 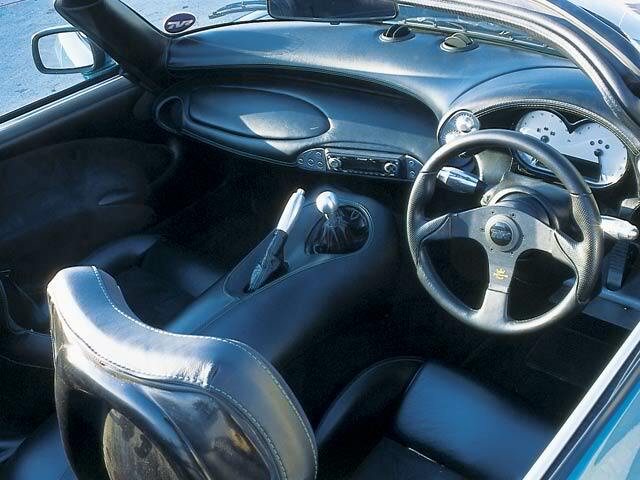 Other TVR interiors can be intimidating, with a bulbous rollcage and a letterbox windshield, but in the Tamora this is less of a problem. You sit marginally higher and the windshield is larger, so the front corners of the car are visible, which is a major benefit in a car this rapid. 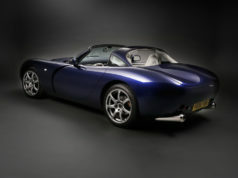 TVR insists on manufacturing its own switchgear, most of which is machined from aluminum. Some of this is ergonomically suspect-the window switches, for example, are identical to the adjacent electric door openers-but they’re good to touch and contribute to the feeling this is something special. It’s also refreshing to be met with a fascia that’s not festooned with a mass of buttons serving little or no purpose. 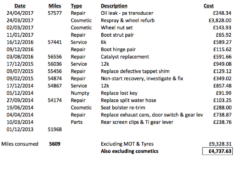 One eccentricity that takes a little getting used to, though, is the dashboard. 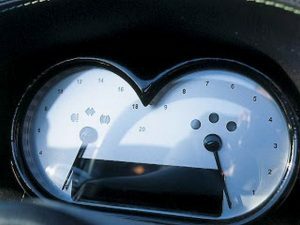 In the interests of aesthetics, the speedometer is marked in 20-mph increments, and even these have been abbreviated, so 100 mph is written as 10. The rev counter, by contrast, reads from 0 to 9 (the limiter’s actually at 7800 rpm) and sweeps in a counter-clockwise arc. There’s a supplementary digital display below the dials, which can be set to show the exact speed and rpm, but this proves difficult to read in direct sunlight. The green, amber and red gearchange lights are a nice touch, though. 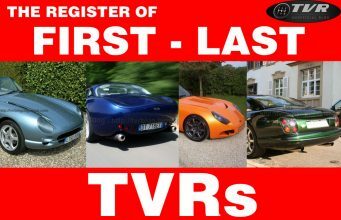 The Tamora starts on the turn of a key, which seems disappointingly normal-other TVRs start on a button. But any concerns that the Tamora might be too civilized for its own good are dispelled within the first revolution of the straight six. It settles quickly to a deep, cultured growl that smacks of potency. 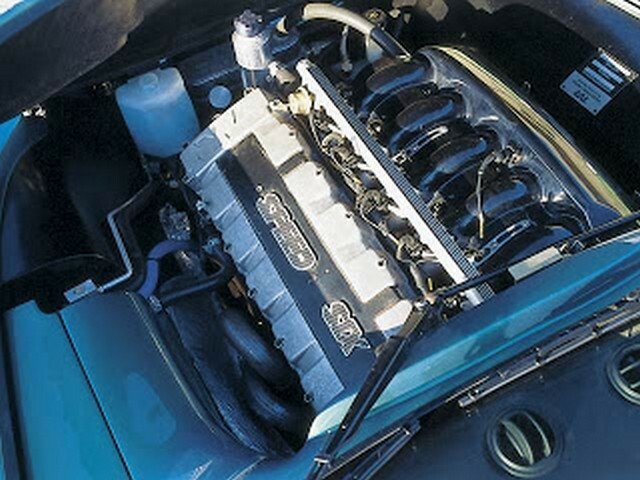 This engine is the automotive equivalent of “come-hither” eyes. 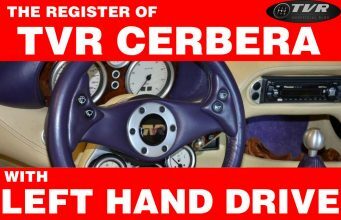 The clutch is meaty, some might say heavy, but the five-speed gearbox has a clean, crisp and light action. Crawling away into the Blackpool traffic allows a moment of acclimatization. There’s much to get used to. The throttle travel is extraordinarily long, pivoting through almost 90 degrees. This is another personal preference of the chairman, whose word is gospel in these parts. Wheeler has no time for electronic aids but concedes that 330 hp/ton can be tricky to handle. His solution is a long pedal travel, which allows drivers to carefully modulate the power, even if they lack Michael Schumacher’s throttle control. The second curiosity is the steering. Ultra-quick steering racks are a TVR tradition, and by its standards the 2.0 turns lock-to-lock is on the sloppy side of generous. 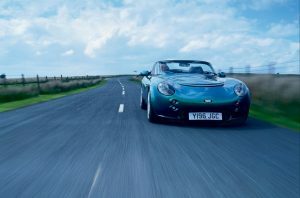 Nevertheless, for the first few miles there’s a tendency to oversteer. It soon starts to feel familiar, though, and the weighting and feedback are exemplary. The next manufacturer to suggest it’s impossible to maintain proper steering feel with an electrically powered system should take a trip to Blackpool. We swing north and after a short blast head for the hills. 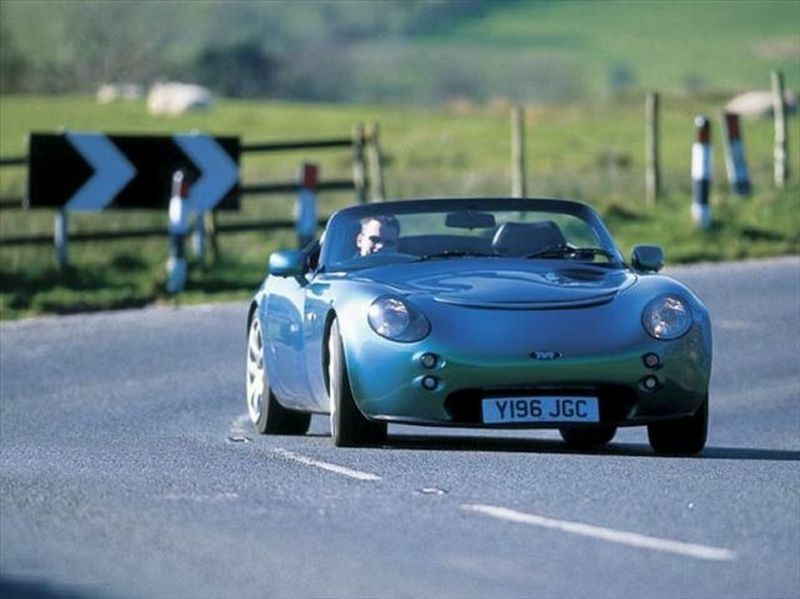 The Pennines are spread across northern England and offer some of the finest driving roads in Europe. 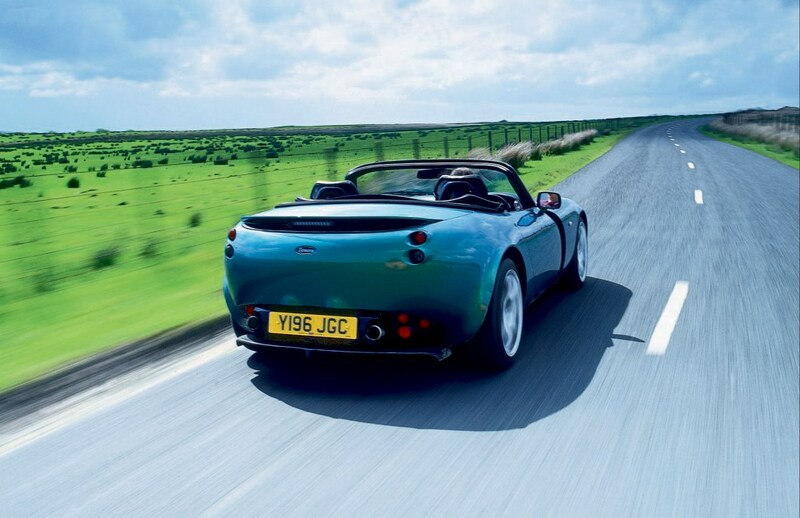 Decent tarmac, undulating countryside and sparse traffic make them an enthusiast’s delight. 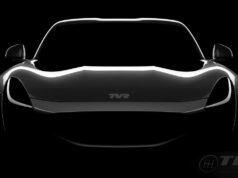 TVR does much of its development work up here, so it’s not surprising the Tamora immediately feels at home. 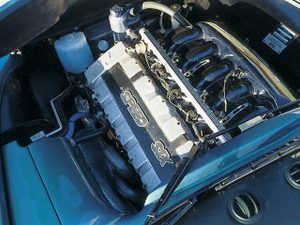 The Speed Six engine owes much to racing technology, which explains why its throttle response is so good and why the revs die so quickly between shifts. The performance is brutal and immediate. In tests carried out by Autocar magazine in the United Kingdom, the Tamora scorched from 0 to 60 mph in 4.2 sec. and hit 100 mph from rest in 9.1 sec. It also completed the standing quarter mile in 12.5 sec. at 119 mph and will reach an estimated 175 mph flat out. These are extraordinary figures, and my subjective impressions offer no reason to doubt them. But what the raw statistics cannot convey are the sensations or the noise. The low-rev rumble gives place to a deep, mechanical howl as the tach needle swings through its arc. 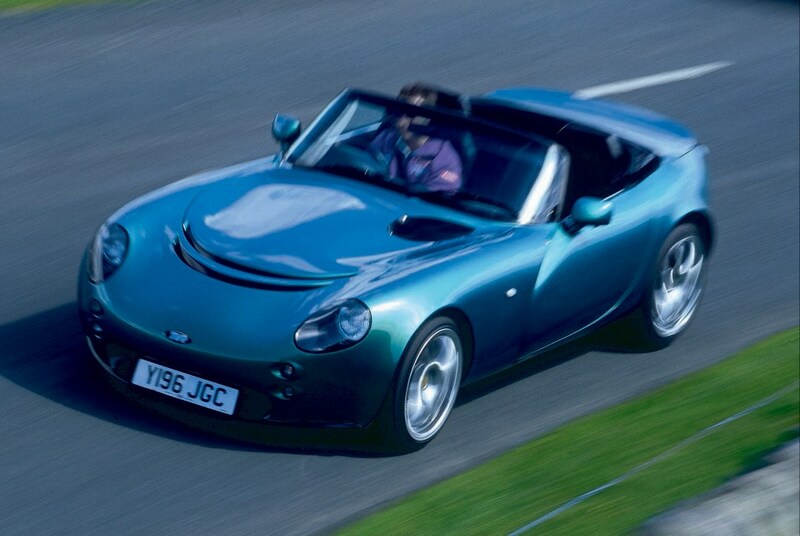 It sounds more like a ’60s racer than a contemporary supercar and is all the better for it. The Tamora is built around a tubular steel chassis and suspended with double wishbones at each corner and coil springs over shock absorbers. There’s also a BTR limited-slip diff at the rear to help distribute the power. It’s a setup born on the racetrack, but it’s been brilliantly adapted to the road. The ride is firm but not harsh, and its composure is upset only by large, irregular bumps, which cause an uncomfortable judder through the cabin. The Tamora will also hit its bumpstops with some regularity, but that’s not a major problem. With no traction control and 235/40 Toyos at the rear, oversteer is never more than a heavy right boot away. 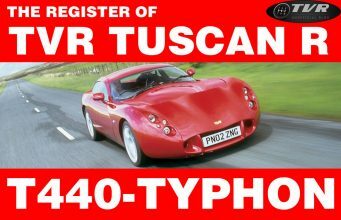 This TVR needs to be treated with respect, but it’s not an intimidating car to drive hard. 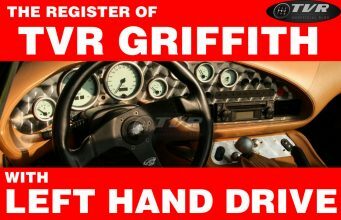 The limits are extraordinarily high, and its natural on-the-limit tendency is toward mild understeer. Nor are there any lift-off oversteer histrionics. Con-fidence comes with familiarity and is aided by the Tamora’s compact dimensions and fine visibility. The harder it’s pushed, the better it feels. The brakes, which are vast 12.0-in. ventilated discs at the front and 11.1-in. ventilated discs at the rear, stop proceedings like a Lennox Lewis jab. The pedal is race-car firm, and there’s no ABS (Wheeler doesn’t believe in it), so careful pressure modulation is crucial. And heel-and-toe gearchanges are useful if you don’t want to lock the rears. Safety freaks should also note there are no airbags. Trundling back toward the factory, I erect the roof. The Tamora has a lift-off Targa system, with a central panel, which stores in the spacious boot. Like so much of this car, it’s simple but effective. Once in hardtop mode, the Tamora offers an appealing cocoon, although it’s disappointing that the air-conditioning ($2,688) and leather trim ($3,176) are pricey options. 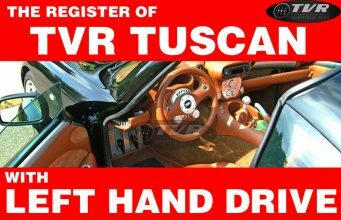 It’s important to remember the TVR is hand-built, so some of the detailing can occasionally feel a little rough. 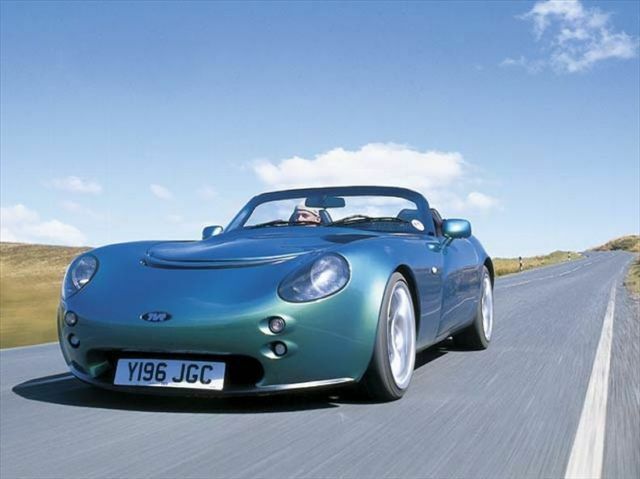 TVR’s reliability record has also been questioned on occasion; the speedometer broke on our test car. Anyone expecting Porsche-like build quality and reliability may be disappointed, but it’s worth remembering that a Boxster S is neither as exclusive nor as quick. 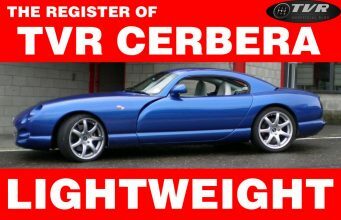 Which is the crux of TVR ownership. 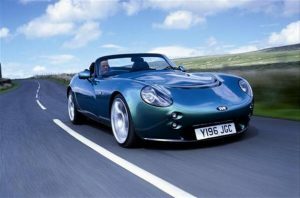 The Tamora may lack the ultimate sophistication of its German counterparts, but the TVR is a more fulfilling and exciting companion than a Boxster, which is a stunning achievement for a tiny company from Blackpool.